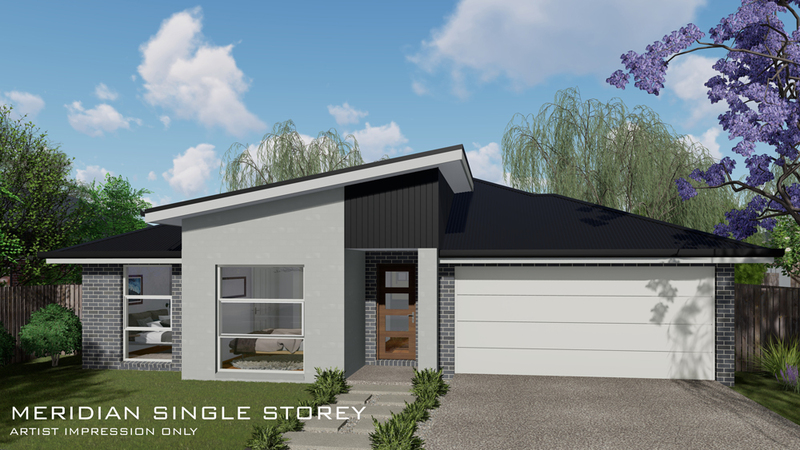 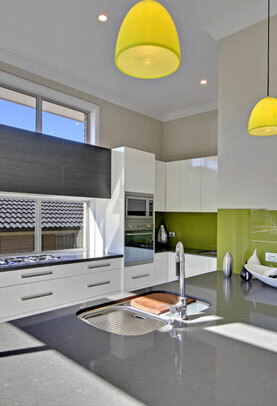 The Meridian design is our latest edition to our Single storey home range. 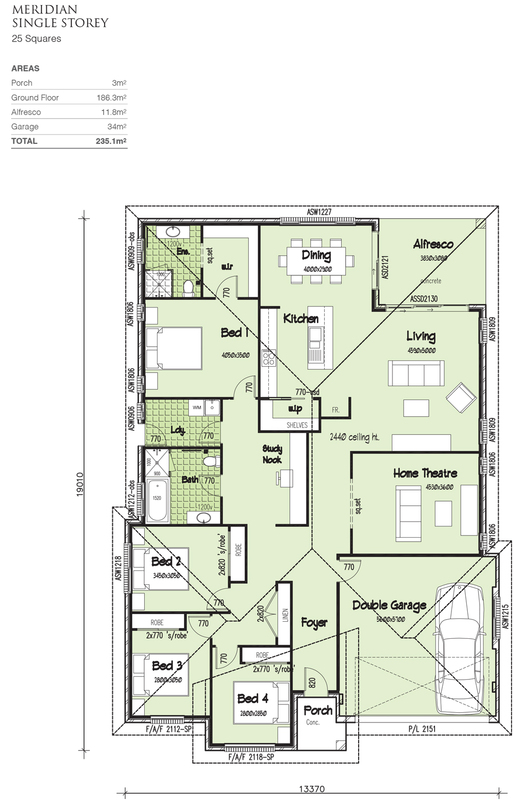 This design adheres to the latest demand for a functional floor plan, with open plan Living areas, Galley style Kitchen & dedicated Home Theatre room. 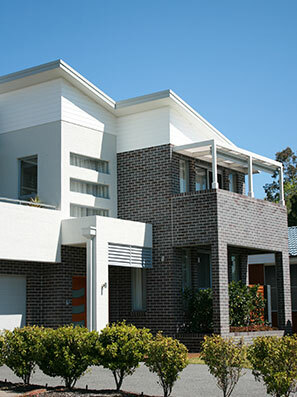 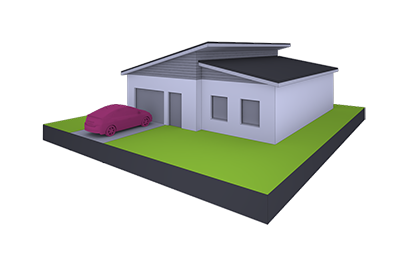 The home also boasts a modern Metro style facade which includes a skillion roof profile & custom design windows to Bed 3 & 4 boosting the street appeal.